Put 3 slices of the butter in the freezer to chill. In a large skillet sear lemons for about 2 minutes each side. Set lemon slices aside. Sprinkle fish pieces with salt and pepper. Add 1 tablespoon butter to the same pan. Quickly coat each each fish piece in melted butter. Transfer fish slices to a baking dish. Cover fish with lemon slices. Bake for 10 minutes or until fish begins to flake. While fish is roasting, deglaze pan with the wine. Add tangerine juice with pulp, green onions and celery flakes bringing it to a boil. When reduced by half add butter from freezer, one slice at a time until smooth and caramelized. 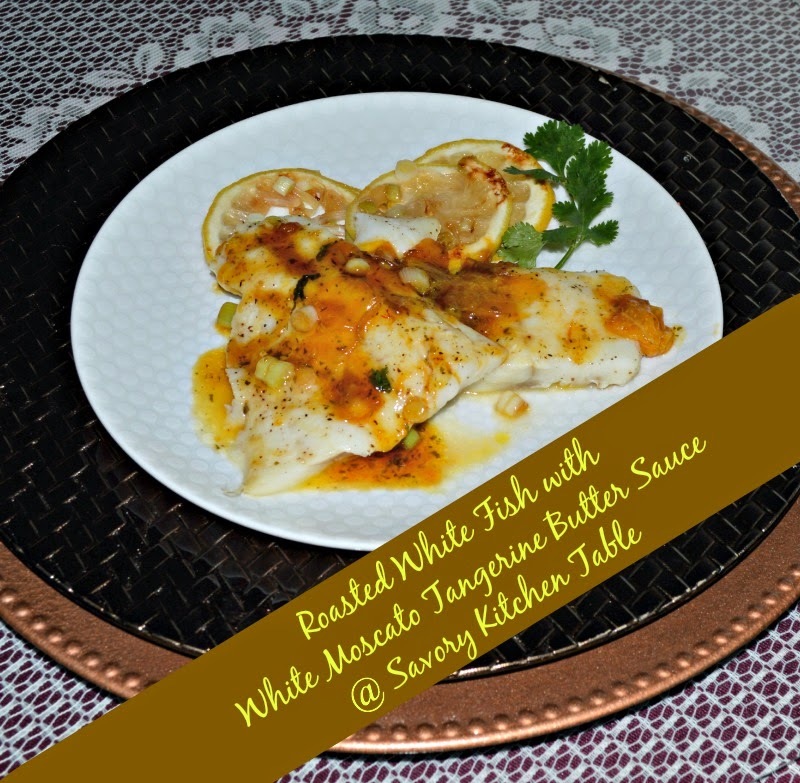 Immediately serve fish and top with sauce.